Elle loves her mother very much, but she also worries about her. Marie isn't mentally stable and Elle knows her mother had a difficult childhood. She tries to be there for her mother as much as she can. When she finds out Marie lied to her about her parents and Elle's grandfather is still alive instead of dead, Elle is shocked. She decides to visit him before it's too late. Her grandfather isn't what she expected and his stories are terrible. Are they true or do they consist of more lies? Elle continuously asks her mother for the truth, but Marie doesn't share her secrets. How can Elle find out what happened in the past? Elle's grandfather has a dreadful confession to make. Is he unburdening himself before his death? Elle doesn't believe what he says, but she can't dismiss it either. She will have to do research to get to the bottom of the matter. However, where should she start and who has the answers? Marie isn't strong, is Elle making the right decision to find out more about a time her mother so desperately wants to forget? Elle has to act quickly before there's nobody left who can give her the information she seeks, will she manage to get to the bottom of the matter? The Forgotten Ones is a terrific gripping story. I love books about family secrets and Steena Holmes has written a great one. Elle is strong and capable, but she constantly questions her mental state because of her family history. She loves deeply and likes helping others, which made her a wonderful main character. Marie is a loving mother, she has her issues, but she adores her daughter and has created many good memories with Elle. They have a strong connection, but Elle discovers she doesn't know much about her mother and she wants to have answers. Even though Marie doesn't like it, she lets her daughter dig, which I found incredibly admirable. I was curious to find out if Elle's search would actually be harmful for her mother and loved all the surprising twists and turns in her story. It kept me on the edge of my seat from beginning to end and I read The Forgotten Ones in one sitting. Steena Holmes skillfully works with tension. Every chapter brings new information. 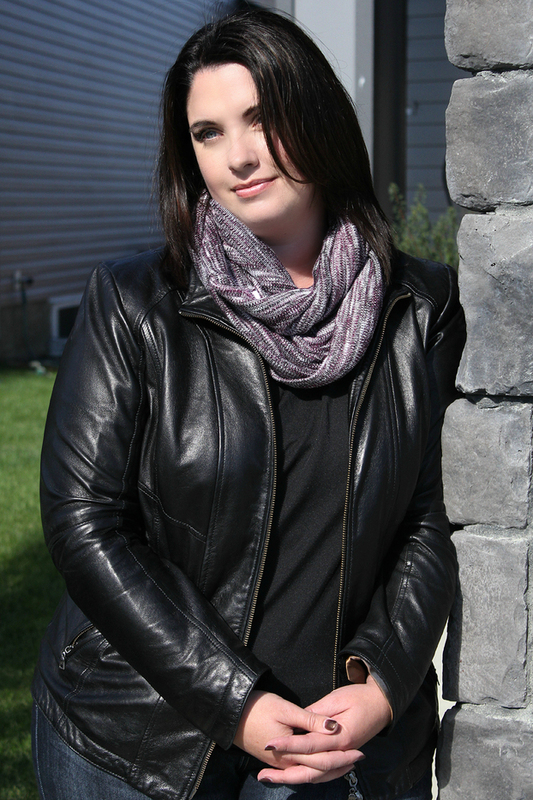 Her story is fast-paced and filled with suspense. I sometimes forgot to breathe, which is exactly the effect a good thrilling story should have. Elle's mother and grandfather lost everything and their story is sad, creepy and distressing. It grabbed me from beginning to end. 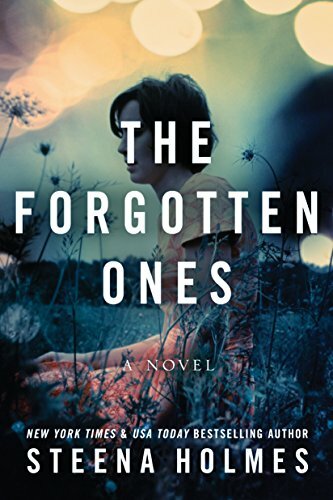 The Forgotten Ones is a fantastic book and I highly recommend this compelling poignant story. If you love gripping stories about family secrets The Forgotten Ones is an absolute must-read. I’m an open book :) I am a coffee addict and travel lover with a goal to find all the best chocolate and coffee shops during my trips. I have three beautiful daughters, a husband that treats me like gold and I have the Rocky Mountains for a backyard. 2) The Forgotten Ones is a story about secrets and lies, what’s the inspiration behind this fascinating topic? We all have those secrets in our lives we would do anything to protect. What happens if those secrets get found out? How unsettled our lives become and how we handle that is interesting to me. 3) Can you describe the main characters of your story in seven words each? David: Family means everything to him. Gertie: A woman destroyed by the death of her dreams. Marie: A complicated mess with a broken heart. Elle: A beautiful soul who aches for love. 4) Your story is about family, what does family mean to you? Family is complicated and messy and can be difficult. Family doesn’t just consist of the one you’re born into but also the one you’ve built your heart around. No-one is perfect and sometimes its easy to forget how our own families are molded by the past. 5) You love traveling, what’s your most memorable experience and how does traveling ifluence your stories? I do love traveling. I have so many memories and experiences, it’s hard to just think of one. My first solo trip will always stand out when I went from Paris to Brugge, Belgium and almost left my purse behind in a train station. If it weren’t for a very kind fellow traveler, I would have lost my passport and all my money…talk about heart pounding! Then there was the trip I took my 16 yr old with me to Germany to experience the Christmas markets first hand for a novel. Watching her understand the heaviness of a concentration camp we visited, seeing how it changed her…I will never forget that. As for how it influences my stories…traveling broadens my mind and provides fodder for stories. It started back in 2005 when my husband challenged me to enter a writing contest. I did, not knowing anything about writing, and amazingly I won a publishing contract! A hunger was birthed in me that never let go and it took another 5 years for me to publish another story, but once I did, I never looked back. 7) Chocolate is one of your passions, how did that start and how did you get the idea to write about it? 8) You do a lot to help other authors, what’s the first advice you usually give them? No one will believe in you more than you. Don’t ever give up or give in. Keep writing, keep growing as a writer and keep believing in yourself! 9) You write different types of romantic stories, what does true romance mean to you and what do you like most about the variety of (sub)genres you write in? True romance is a lot of work. It means dedication and commitment. It’s ugly and messy but so worth it when you have the right partner. That’s what I like to write about - the messiness of a full and broken life. Romance is in every facet of the life we live and it can give us strength or break us down. I prefer to see it as a strength, in both my stories and in my own life. To continue to write, travel and challenge myself to keep dreaming big! 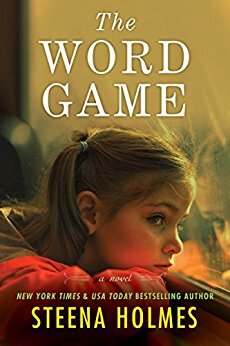 One very lucky reader of With Love for Books will receive an audio copy of The Word Game by Steena Holmes. The Forgotten Ones sounds like a well written, family-orientated story about love, guilt, secrets and discovery that makes you question whether you can love too much. OOh I downloaded this book last week - I'll bump it up on my TBR list. I love the cover, it's really sweet. This really sounds like my kind of book, can't wait to read this. love the cover, and the book looks like a stonking great read! I love how longing she looks on the cover! Cant wait to read! Excellent review and nice cover! Love a story with secrets. I always enjoy your books and I do listen to audiobooks so thank you for the opportunity. Ì suppose every family has it's skeletons in the closets and things it would rather forget. I once worked with a woman who had just found out that the woman she had always known as her mother was in fact her aunt and that her birth mother was actually her sister who had become pregnant by their father at the age of 11. On a lighter note, some of the things we think are 'buried' or forgotten about sometimes do come to light and can be wonderful. Since Mum had her stroke she has started to talk about her childhood in N. Wales during and just after WWII,; such wonderful happy times with the refugees, Polish and Italian POWs, children from the cities who were evacuated, and the 'adoption' of my fave uncle, who was born 'out of wedlock' and abandoned but grew up to be such a wonderful man, father and grandfather and of whom I have the most beautiful memories.